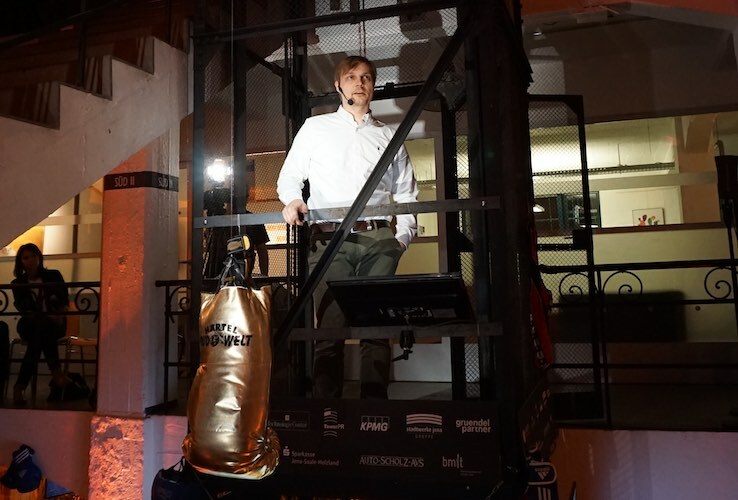 CMO Sebastian Meier from myGermany GmbH accepted the challenge of the Jena Technology Fight-Night on November 22nd and “fought” against 13 other start-ups for the interest of network partners, institutions, investors and potential customers. 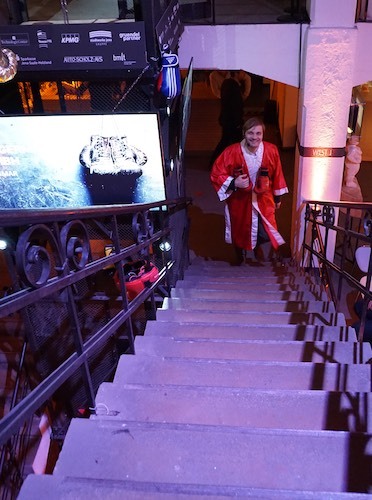 This was preceded by a company presentation of the own company during the day, which was transferred into the form of Pecha-Kutcha with the help of the coaches of the Jenaer Art-Kon-Tor. This is a presentation form, with which altogether 15 slides are used, which are faded in in each case for exactly 20 seconds. The presentation took place in the evening in front of an audience of around 150 people, who listened to the lectures with excitement and amusement. In the aftermath of the event, the visitors were able to contact the respective StartUps and talk about potential networks. Even if we did not leave the square as winners of the event, we were able to win many advocates and potential investors for ourselves, Sebastian Meier summed up after the successful event.